Part of the work of this project is educating each other about what’s going on and what we can do about it. Below, we’ve begun collecting and organizing resources that highlight recent scientific findings related to how climate change and global warming may affect NYC, as well as articles highlighting how other locales are or are thinking about addressing similar concerns. First, see where you fit in. 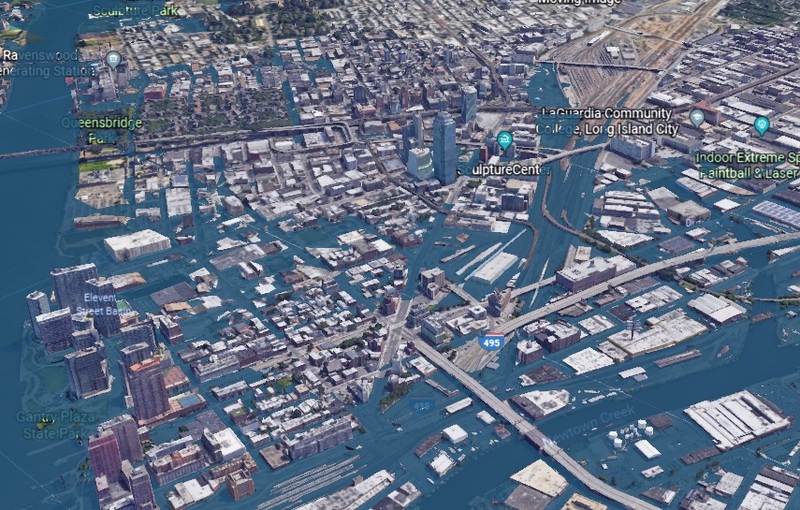 JAN 8, 2018: Do you live in the areas of Queens that would be flooded out if sea levels rise to a catastrophic point?, QNS, By Angela Matua. 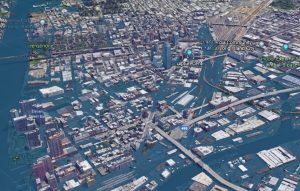 OCT 24, 2017: Scientists predict NYC could see bad flooding every 5 years due to global warming, NY Daily News, The Associate Press. Jan 7, 2018: In New York, Drawing Flood Maps Is a ‘Game of Inches’, New York Times. “The new models, for coastal areas stretching from Cape May to the Hudson Valley, will be used to shape the city’s future zoning, development and building standards to help it become more sustainable. As a result, FEMA and city officials say, New York could be an example for other places around the country. OCT 27, 2017: Trump administration sits isolated on multiple climate fronts, Weekly Climate Review. DEC 9, 2017: City cashing in by selling streets, sidewalks to private owners, New York Post. By Anna Sanders. DEC 15, 2017: Natural Disasters And The Implications Of Missing So Much School, NPR, By Haley Samsel. Climate change is real. On Monday, Mayor Emanuel met mayors and urban leaders from around the world at the C40 Cities Talks in New York, where he announced Chicago would host the first North American Climate Summit and the C40 Bloomberg Philanthropies Awards on December 4–5.